Have you ever wondered what half a billion dollars looks like? If recent (unofficial) estimates are to be believed, that's exactly what you'll see if you buy a ticket to Avatar. Throw fourteen-odd years of development into the mix, an unprecedented level of hype, and a promise to revolutionise cinema as we know it, and you have quite a lot invested in a three hour experience. With the fifteen dollar cost of admission seemingly very paltry by comparison, I did my best to put any reservations aside and see whether the much prophesied 'second coming of James Cameron' could bring about a cinematic equivalent of the rapture promised by that other individual whose initials he shares. Indeed, the risk of being branded a heretic seems just as likely to result from criticising one as the other, but criticism must be made nevertheless. And although it runs against my natural instincts to pre-empt an examination with points from the conclusion, I find myself given little option in this instance. In short, the reason I have not and shall never dedicate a review to Avatar is that it runs contrary to the professed purpose of this blog, which is to delve deeper and analyse the cultural subtext. Whatever it cost to add a third dimension to the film visually, the real expense has been the loss of its cerebral equivalent. As such, it is all I can do to offer a shallow reflection upon some of the foremost points that presented themselves to me personally. Various assertions have been made to the affect that Avatar will herald in a new age of 3-D cinema, eliminating the pitfalls of earlier technology, providing a greater level of audience immersion, and thus affording an overall better experience. Whether in theory or in practice, none of this is true. 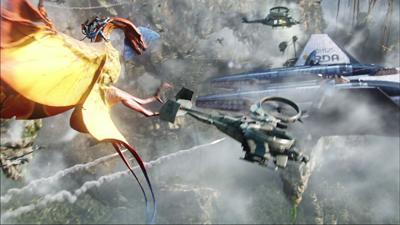 To its credit, Avatar avoids the in-your-face projectile obsession that relegates the majority of 3-D films to gimmick status. At its best the technology is barely perceptible, but if the measure of its success is the extent to which you don't notice it, one obviously has to question the benefit. The presence of a few bewitchingly subtle instances where it really does evoke a sense of magic was not, however, enough to offset the number of times when I found myself struggling against it, which unfortunately seemed to occur in the scenes I was most interested in. Perhaps I am something of an anomaly in the manner in which I view films, but time and again I found that if I was not watching a specific area in the frame the illusion completely fell apart. For those who don't naturally focus on the object or depth of field chosen by the director, it almost feels as though you're being unfairly punished for not surrendering to his authorial vision, to the extent that I found myself resenting the implication that I was somehow wrong to be looking at this, rather than that. Again, perhaps I am something of an oddity, but even with perfect 20 / 20 vision I frequently encountered scenes where the depth of field actually inverted itself on me, causing annoyance rather than immersion (and a left eye that has remained painful since I woke up this morning). I can only assume that those who believe this to be the next evolution in cinema also maintain the superiority of pop-up books over the traditional kind. Adding to my frustration with the 3-D technology was the apprehension that, while I was grappling with it, I was missing out on some of the major points in the story. This frustration rapidly gave way to disappointment, however, when I realised that I wasn't missing out on anything at all. There is a plot, in the sense that it recounts a series of linear events, but unlike the visuals it never approaches even an illusion of depth. Essentially, those who have seen Fern Gully and Pocahontas have already seen Avatar, and no attempt is made to hide its derivative nature, with the protagonist even sharing initials with John Smith. Proclaiming this a bad story makes about as much sense as accusing flat-bread of being a bad loaf, but with so much time and money invested in other aspects of the production it is incredible that no effort seems to have been invested in forming an interesting narrative. This is all the more confounding when you consider that, with a proven writer/director at the reigns, the story development is effectively free. Perhaps more disappointing are the number of potentially interesting story directions that are never even explored. At a point in time where human interaction is increasingly transacted through various electronic media – be it online games, social networking sites, or even your mobile phone to some extent – a film with the word 'avatar' as its very title should have a lot to say about the affect this has had on current society (bear in mind that what you're reading right now is also presented under the guise of an avatar). It could have dealt with the psychological implications of splitting your life between two distinct bodies/realities – whether this might alienate yourself from the idea of being synonymous with a body at all – but this is given only cursory and simplistic treatment. If stripping down the potential subtexts in favour of a single, straightforward narrative was a calculated attempt to drive-home the didactic element, then Avatar must be considered an outright failure. The heroes and villains are propelled so far into the rarefied poles of noble savage and exploitative conqueror as to loose any realistic credibility, while the story may be even be interpreted as imparting a message that seems to contradict its own moralistic stance. Presenting the choice between an unpleasant reality or the prospect of escape into a fantasy world, Avatar seems to advocate the latter. At a time when increasing numbers of people seem to be inclined to withdraw from the difficulties of society altogether, preferring to immerse themselves in an idealised virtual world, the propriety of this message seems rather dubious. 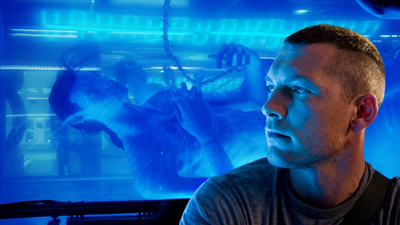 James Cameron had such a creative vision for Avatar that only recent technological advances would allow him to see it realised on the screen, if internet folklore is to be believed. Why then, I found myself pondering in the cinema, is everything so very, very familiar? Most of the plants are green and look just like terrestrial plants; evolution seems to have favoured six-limbed locomotion on this planet, but that still looks very much like a monkey, a rhino, a panther, a jackal, a horse, and a pterodactyl; the people are big and blue, but similar enough in sensory input that the human mind can easily interpret and control a body crafted in their image. Now, I understand the theory behind convergent evolution of this kind, but this is not a documentary, so does everything really have to be that intuitively familiar? Personally, I would be somewhat disappointed if I were to travel five years into outer space and find myself on a planet effectively the same as earth, albeit where everything seems to have run afoul of a serial fluoro-bomber. Avatar was supposed to be an act of unbridled imagination, but it turns out that the presentation is as uninspired and derivative as the story element. Walking out of the cinema I was convinced that I'd seen all this before, but when I tried to think of specific films I couldn't. That was when I realised that it wasn't film that Avatar was borrowing from, but video games. I'd been watching Halo vs Warcraft for the past three hours. As I think back on the audience, however, I had to give credit to the sleight of hand being played there, because the majority were clearly not people who would be at all familiar with the gaming medium. 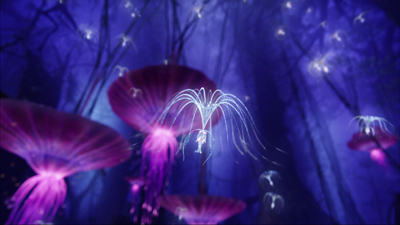 For them, Avatar would be unlike anything they had ever seen before, just as it was promised. Film aficionados would find a few other things a little too familiar though, such as some iconic creature noises lifted from Jurassic Park, and at least three musical cues in common with Cameron's own Aliens. It is a common misapprehension that the imagination has no limits, but even with that admission it is common sense that you shouldn't borrow elements from other high-profile films and leave them undisguised when being unique and incomparable is one of your main selling-points. Apparently I missed the obituary proclaiming the death of science-fiction film, but it doesn't matter because I was told that Avatar was about to bring it back to life, bigger and better than before. What we ended up with was certainly bigger, but I'm hesitant to even suggest that it was the same creature that was put to death, let alone entertain the idea that it's necessarily better for it. Perhaps I have too pedantic a criteria regarding what falls within the bounds of science-fiction, but to me Avatar had no more science in it than something like The Lord of the Rings (which, you'll note, is more or less faithful to Newton's laws of physics). 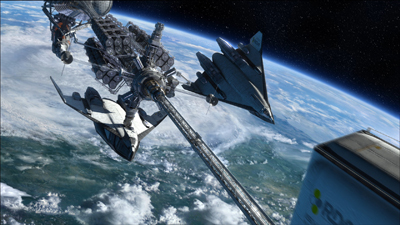 Spaceships and aliens do not a science-fiction film make, nor does the act of simply setting something in the future. For me, the defining quality of science-fiction is the presence of plausible, scientific speculation that contributes to the story in a meaningful capacity. This does not mean that every facet of the technology need be explained or even explicable based on current scientific understanding, but it does require a certain respect for plausibility. Inventing a fictitious mineral, making it the entire motivation for the narrative, and then calling attention to the very implausibility of that element with a name like 'unobtanium' crosses the boundary between genre convention and parody. Fantasy makes allowance for the presence of the inexplicable, as does science-fiction; the crucial difference is that science-fiction must at least make a pretence toward explaining it. Any legitimate speculation in the film, which is primarily restricted to the human side, is simply things we've seen before (drawing particularly on Cameron's Aliens), and hardly the catalyst for a science-fiction renaissance. Without spoiling the conclusion, Avatar puts the final nail in its coffin by relying on the most literal form of deus ex machina. Avatar is by no means a terrible, nor even a bad film. Perhaps its only real transgression is promising something unique and revolutionary, when it ultimately delivers only mediocrity. Issues with the 3-D technology aside, James Cameron has achieved one of the most flawless visual presentations of an imaginary world in the history of cinema. The problem is that so much time and resource should be given to material that proves unworthy of such treatment. It is unique only insofar as it combines elements that have never been put together in such a way before, but for each of those elements a better, fuller treatment can be found elsewhere. It is the epitome of perfect execution, unfortunately dedicated to the realisation of a pointless enterprise.